Major General (res.) Nimrod Sheffer today began serving as Israel Aircraft Industries' (IAI) CEO in accordance with approvals received from the Government Companies Authority and the Defense and Finance Ministers. Defense Minister Avigdor Liberman praised Sheffer on his official entry to the position: "The defense industries are a central and leading factor for Israel's defense and economic system, and IAI is the largest among them, so this is a very important and influential position both for the defense establishment and for the Israeli technology market in general. "IAI is daily re-inventing solutions to protect the State of Israel against the various threats. I'm confident that Nimrod will bring with him the knowledge, skills, and experience of many of his positions in the IDF and will lead IAI professionally and creatively to the challenges of tomorrow." 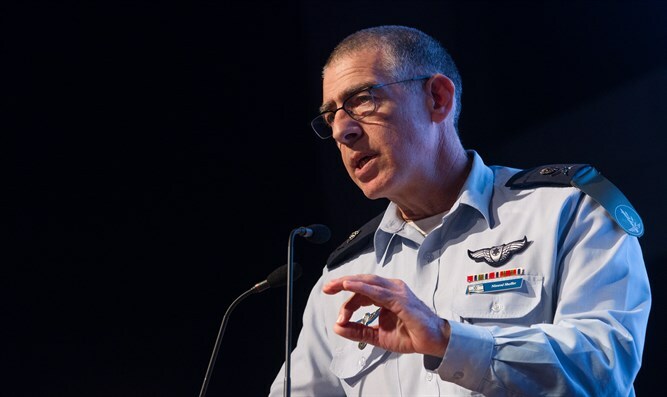 Sheffer, 57, a fighter pilot and former head of the Israel Air Force, served as head of the IDF Planning Branch. Shefer holds a BA in Geophysics and Planetary Sciences from Tel Aviv University and an MA in Public Administration from Harvard University.